This man’s playing is of very high quality, sublime. superhuman!! 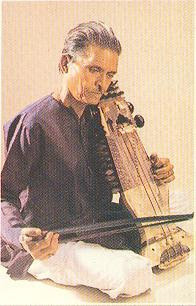 in first place, the instrument is sarangi, the most difficult among the stringed instruments; and secondly the mastery and finesse…! la-jawab!! Thanks a lot to provide such a peacefull essence , early morning through the collection.